Told you guys it will come to a time will be getting 100gb for 100 Only..Awoof Dey purge belle.. 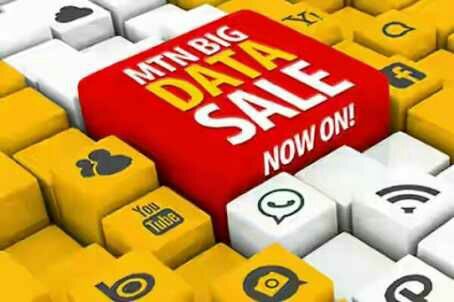 But its coming to that as mtn introduce this whopping 17.5GB worth of data at the price of just #2000 , 7.5GB for #1000 and500MB for #200. How Can I Activate It this special offer from MTN? 3. 500MB for the subscription of #200 for 100MB. BUT, the 14GB out of the 17.5GB, 5.5GB out of the 7.5GB and 400MB out of the 500MB is usable only in the weekend (Saturday and Sunday) while the remaining GB is usable any day, any time within the one month period. Dial *131*1*3# To check your data balance dial *131*4#. Buy 3.5GB for N2000 and get 17.5 GBFREE data. Dial *131*110# to activate. Dial *131*4# to view data bonus. Bonus Valid till Sunday 11:59pm. Buy 1.5GB for N1000 and get 7.5GB FREE data. Dial *131*106# to activate. Dial *131*4# to view data bonus. Bonus Valid till Sunday 11:59pm. Buy 100MB for N200 and get 500MB FREE data. Dial *131*113# to activate.Dial *131*4# to view data bonus.Bonus Valid for 24 hrs.